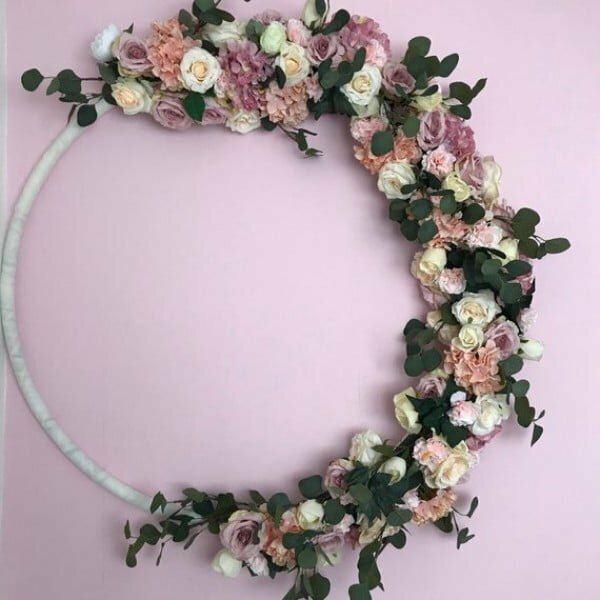 Looking for a floral wreath for some occasion? 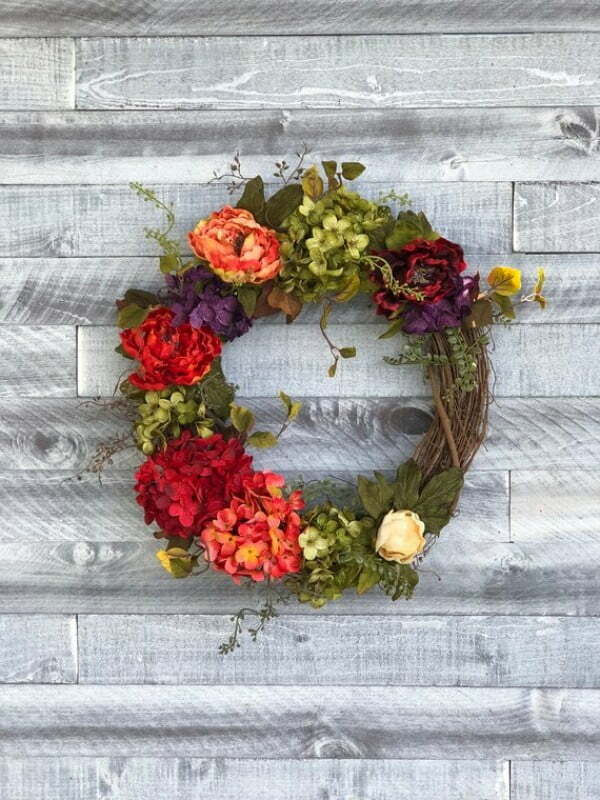 Be it seasonal decor, party or a special day, these DIY floral wreath ideas will inspire you. Few decor accessories have such a high impact, and floral wreaths are among them. You can’t do without a beautiful wreath when decorating for a wedding, Holidays or even a birthday party. 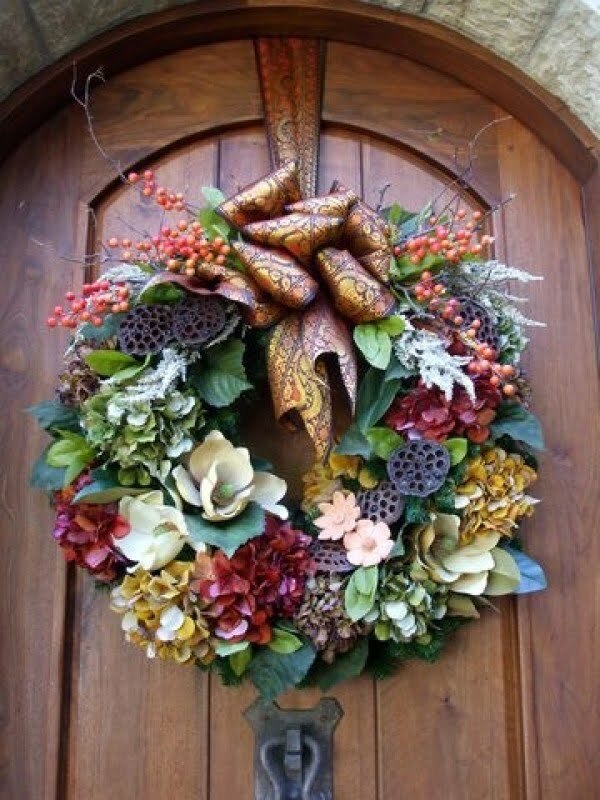 And there’s no better way to increase your curb appeal so easily as hanging a floral wreath on your door. The opportunities are endless with this brilliant item. 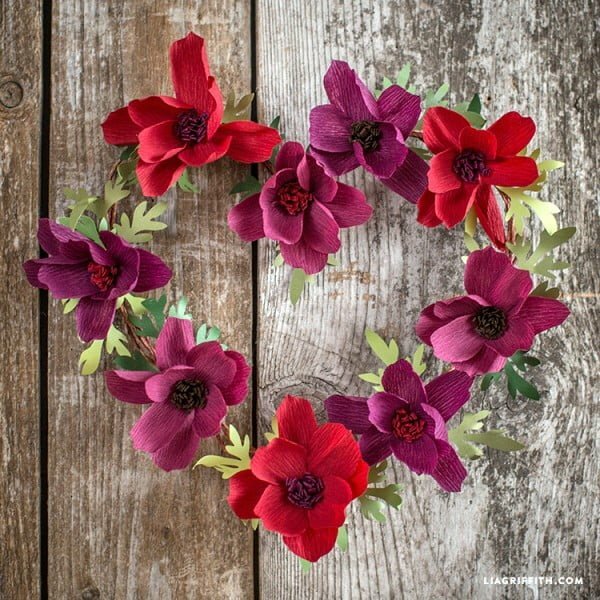 And as many uses there are for a wreath made of real and artificial flowers, there are as many styles and ways to make one. 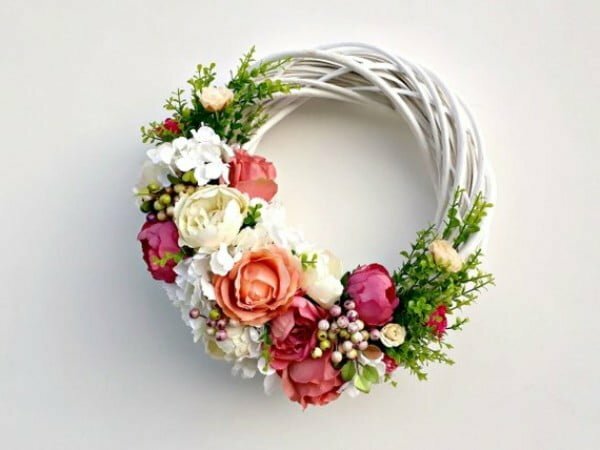 This list of beautiful floral wreath ideas includes several diverse ideas with DIY tutorials and a lot of inspiration. Check it out and choose the best wreath for your special occasion. We’d love to see what you make! A floral wreath simple and minimalist but have a lot of decor value at the same time. 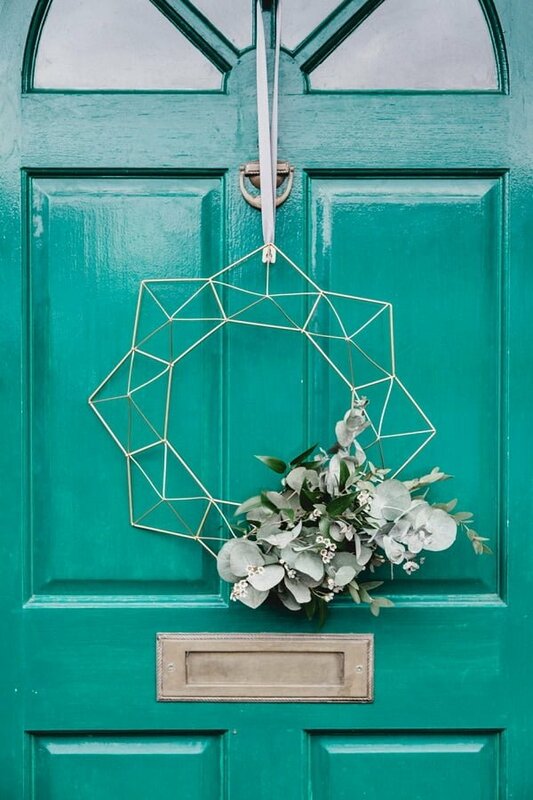 This geometric wire frame used for a floral front door wreath makes the most of the art deco style. And we love it! Floral doesn’t mean the wreath has to be made from real flowers (and not even artificial ones). 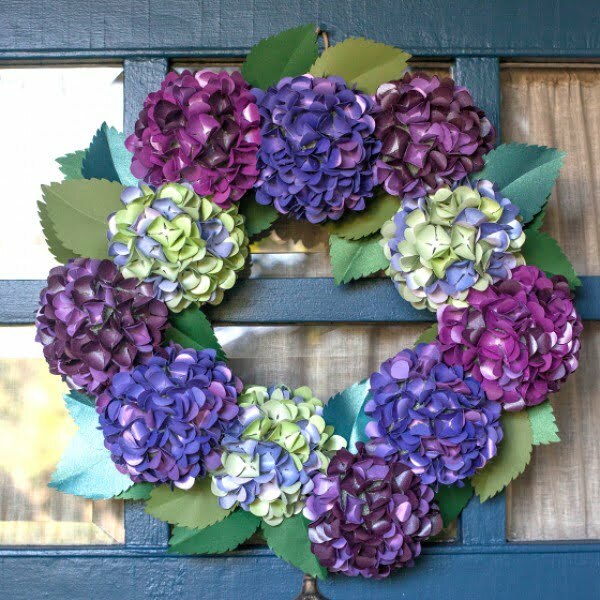 This idea shows how you can make paper Hydrangeas for a beautiful and colorful wreath. You can DIY it too! Here’s another DIY tutorial of a floral wreath made from artificial flowers. This time you can make your Cosmos flowers from crepe paper. And they look genuine. They make a beautiful wreath. This DIY floral wreath is cute and simple. It’s a crafts projects where you can involve your kids too. 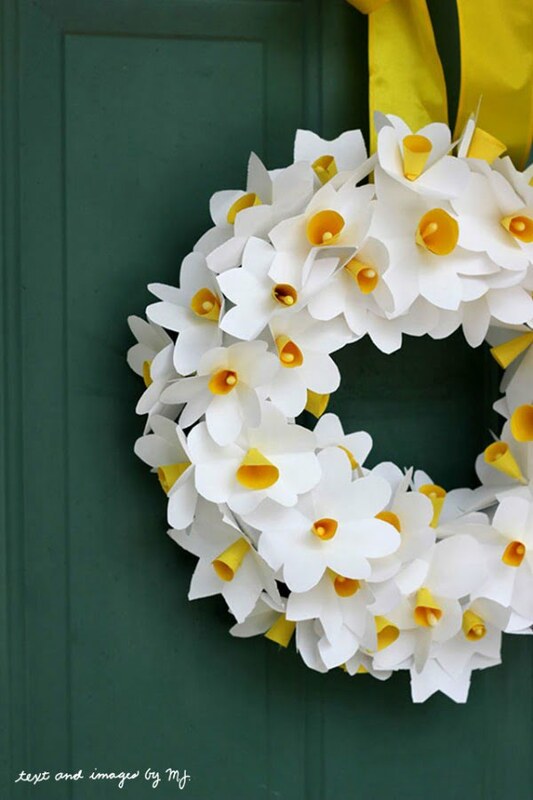 The white and yellow paper daffodils will make a lovely wreath for any occasion. 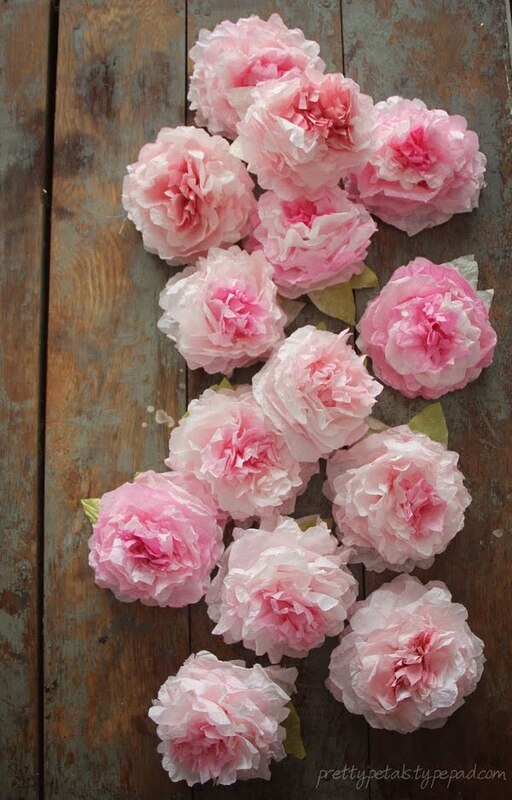 These peonies are so lovely, and you can make them from regular coffee filters. That’s quite a unique DIY craft! And most importantly, you will quickly make a charming wreath from them. A floral wreath can include a vast variety of flowers. The key to making it is to pick the right combinations. Here’s one inspiring idea on how you can do that. 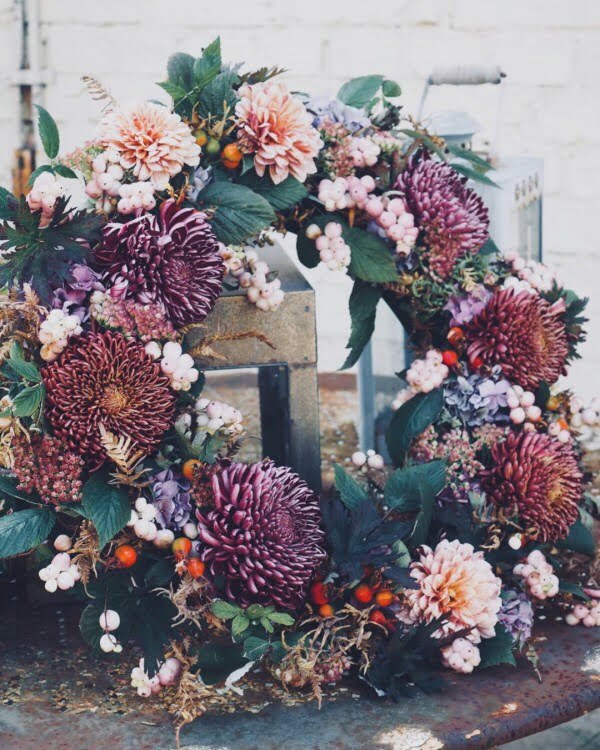 This big, beautiful Boho-style autumn wreath is a mixture of pastel and mid-tone flowers. The greenery and different sizes of the plants add to its overall beauty as well. 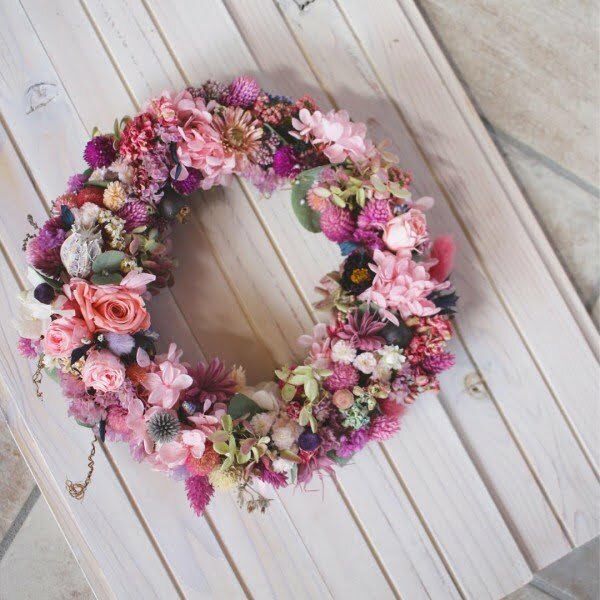 This gorgeous handmade floral wreath can bring a welcoming atmosphere to just about any front door. The colors of all the flowers combine to create a visually-stimulating work of art. 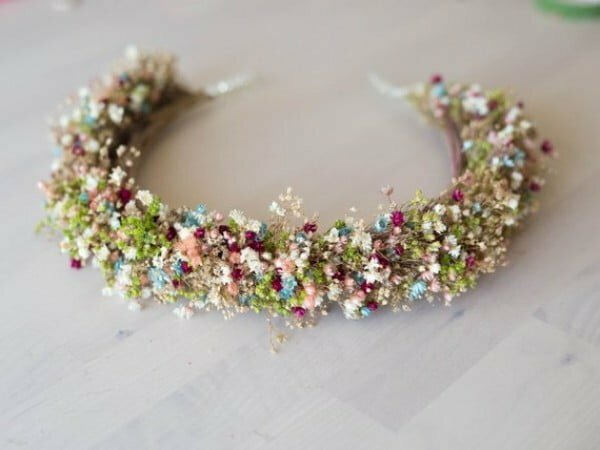 This floral wreath is so spectacular you could get lost in its beauty. It showcases the great use of colors that are sure to up the style on any door it is placed on. This floral wreath perfectly embodies the feeling of fall and sets the tone for a seamless transition into the holiday season. The colors are light, bright, cheery and welcoming. 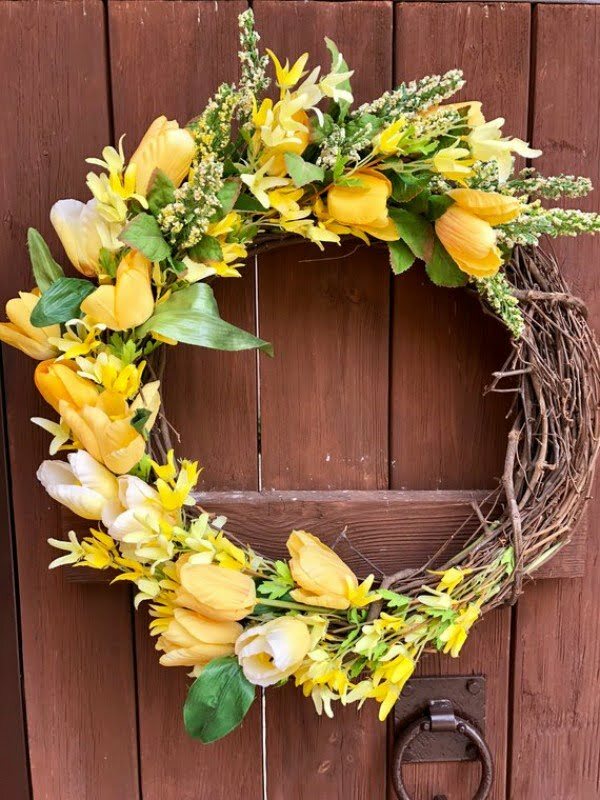 Marvelous Magnolia has played a significant role in making this wreath the vision of loveliness it has turned out to be. The soothing colors add another layer of visual appeal. 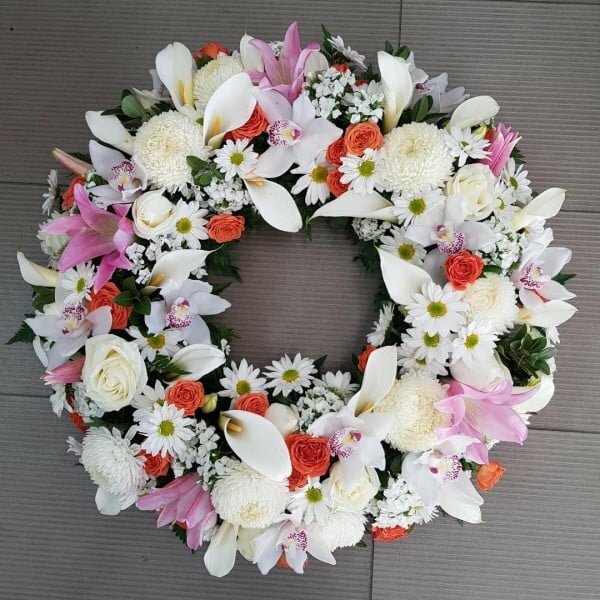 The arrangement of this wreath evokes a sense of peace and tranquility. It has a look that seems to beckons the weary to become lost in its beauty and forget about their cares, if even for a moment. 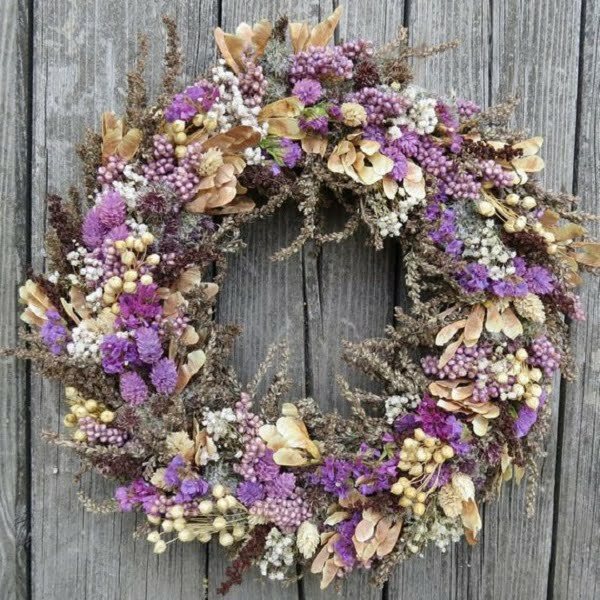 This gorgeous wreath is made out of grasses, dried flowers, and pepper berries. The main attractions are beautifully complemented by other elements like wheat, oats, and lavender. 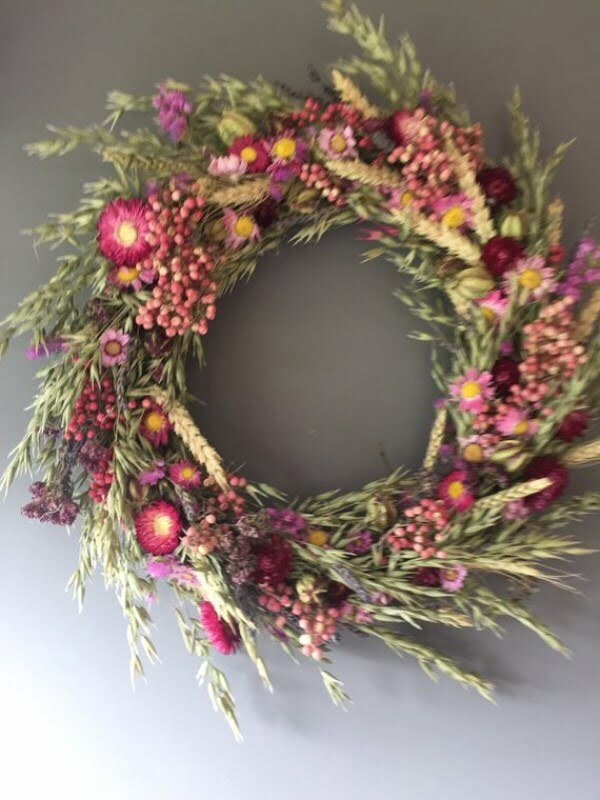 This dried flower wreath effortlessly delivers a dramatic boost to any surface it is placed on. Natural flowers, grass, corn and incredible attention to detail are used to make this masterpiece. 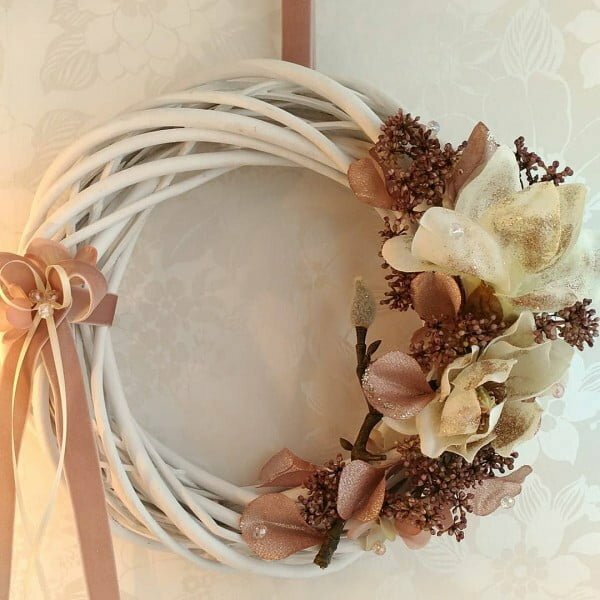 With its array of dusty and blush pinks, mixed in with little cream and white elements, this gorgeous wreath stands out. The silver dollar eucalyptus perfectly breaks up the floral display. Spectacularly created out of artificial roses and peonies, this wreath is ideal for special occasions like birthday and anniversary celebrations. It can also make the perfect gift for a special someone. 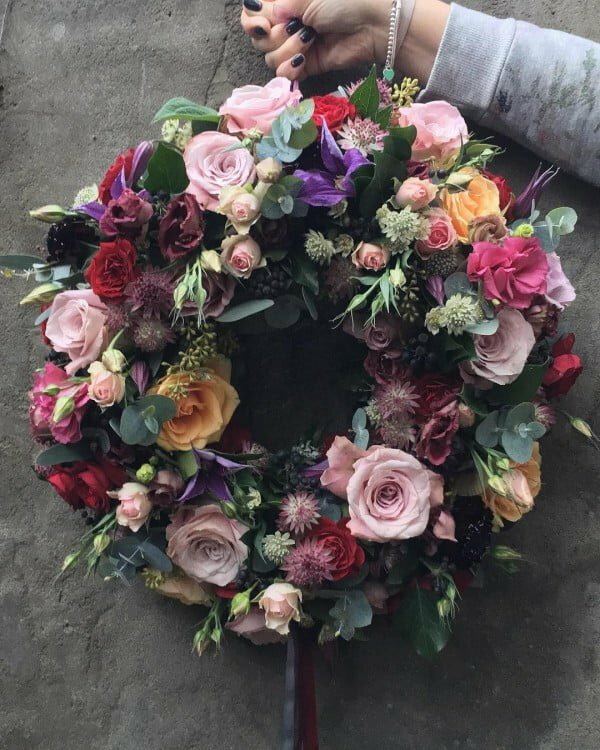 A stunning combination of beautiful warm tones and light-colored flowers were used to create this gorgeous wreath. Its oval shape, intricate bow, and variety of textures come together spectacularly. 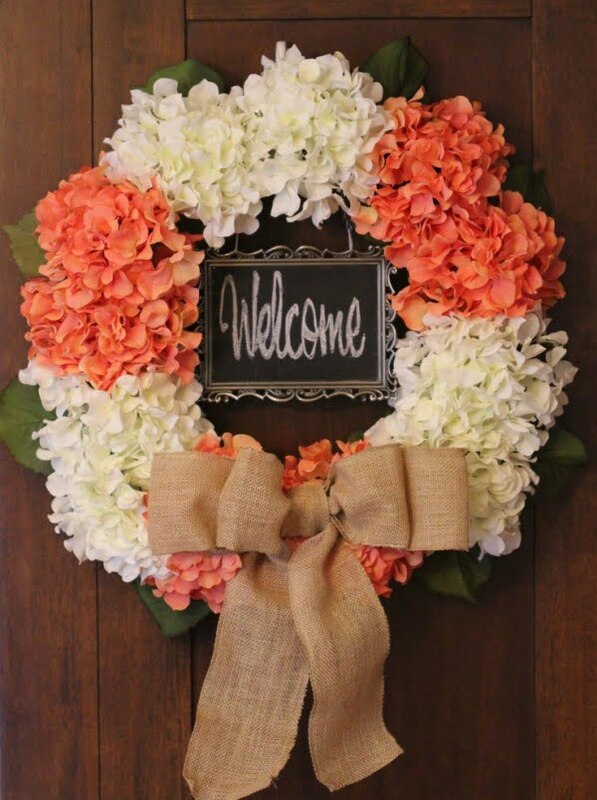 This coral and cream floral wreath is cheerful and welcoming and is sure to effortlessly beckon in guests and household members even without the ‘welcome message’ on the built-in magnetic chalkboard. 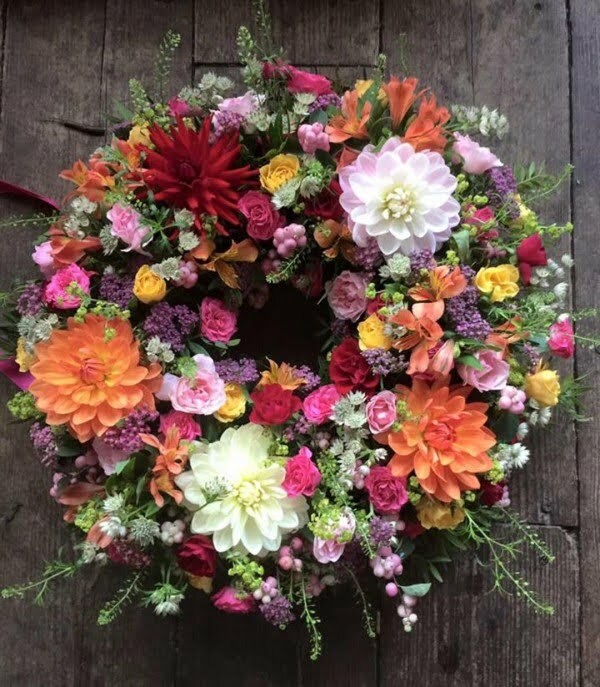 This vibrantly beautiful wreath bursts with red peonies and green, purple and orange hydrangea flowers. The liberal amount of greens that is craftily spread throughout the wreath adds fullness and depth that makes it a real stand out. 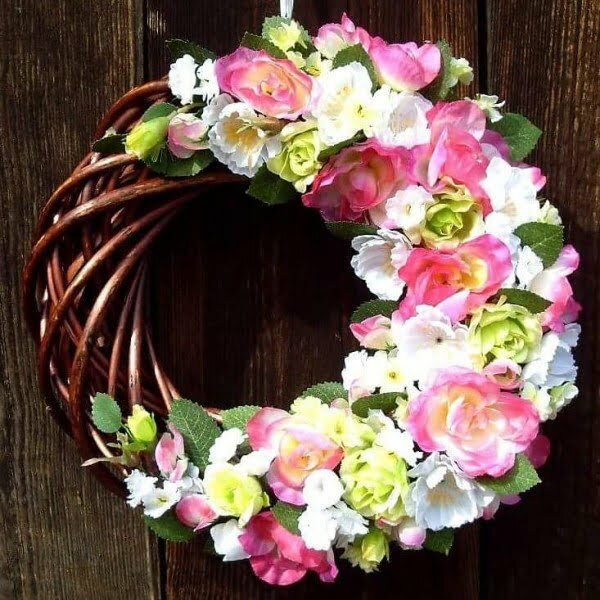 This bold and beautiful wreath will brighten any door, wall, gate or any other surface on which it is placed. It stunningly features yellow silk hyacinth and tulips, and this work of art is the ideal addition to just about any décor. This wreath is a total touch of nature encircled with gorgeous neutral-colored dried flowers. Glass stones are added to the design to add a bit of sparkle. Each color and each flower has been artfully incorporated into this design.